In this image taken from video, Gambia's new president Adama Barrow talks during an interview with The Associated Press in Dakar, Senegal, Saturday Jan. 21, 2017, just hours after Yahya Jammeh agreed to step down from office. 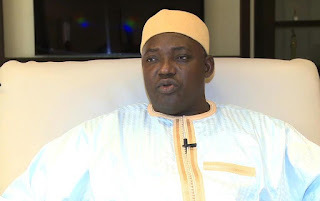 Barrow said Saturday that he will launch a truth and reconciliation commission to investigate the alleged human rights abuses of Yahya Jammeh's 22-year regime. DAKAR, SENEGAL (AP) — Gambia's new president Adama Barrow said Saturday that he will launch a truth and reconciliation commission to investigate the alleged human rights abuses of Yahya Jammeh's 22-year regime. "We aren't talking about prosecution here. We are talking about getting a truth and reconciliation commission," he said. "Before you can act, you have to get the truth, to get the facts together." The exact terms of Jammeh's departure remained under wraps Saturday apart from his destination: Guinea. "What is fundamental here is he will live in a foreign country as of now," said Barrow, visibly tired and wearing a powder blue traditional West African boubou robe and white leather slip-on shoes. It's been a chaotic and tragic week for the new Gambian leader, who is being protected by heavily armed guards at a private residence in an upscale Dakar neighborhood equipped with its own metal detector. 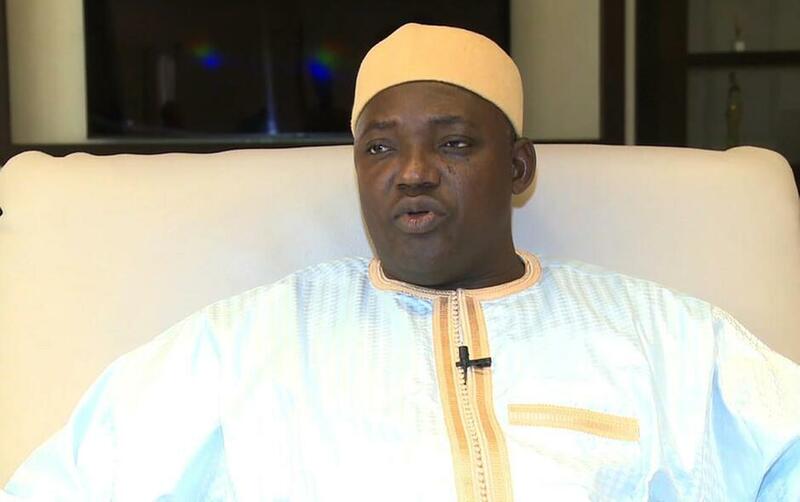 Barrow has stayed in Senegal throughout the prolonged negotiations needed to arrange Jammeh's departure. He attended Friday prayers at a mosque with Senegalese President Macky Sall. The fears for Barrow's security were because Jammeh has long been accused by human rights groups of heading a government that tortured opponents and silenced dissent. Many Gambians have been arbitrarily detained for years, often without access to family members or lawyers. Some people have effectively disappeared, but families cling to hope that they may still be alive, say human rights activists. He already has issued a message that "the rule of fear has been vanished from the Gambia for good." "Today is a very, very important day for Gambia," he said Saturday. "Twenty-two years is a long period, and Gambians this time they are united to make this change."